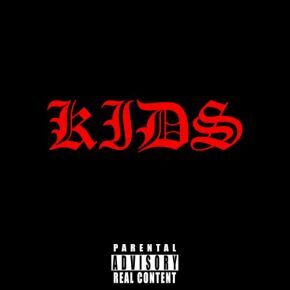 ‘Kids’ sets a new landmark as Mavrick’s first post-major label release. His previous work on his album Atlantis earned praise from Clash Music and Impose Magazine, and plays on BBC Radio 2. Shifting from a major label to an independent label is an important step for Marcus in regaining control over his musical career. Marcus is optimistic about this new opportunity for him to own his music, effectively giving him more freedom and creative control. He adds, “I can put together a team of people that is as passionate about my music as I am, and work together in the same direction – not pulling in ten different directions.” Music comes first for Marcus. He can’t be bothered with mandatory social media maintenance or corporate bureaucracy. His new song ‘Kids’ is a callous and unforgiving pop track that serves as a musical middle finger to the corporations and the elite 1%. Mavrick addresses many hot button issues that are damaging the world today, from immigration to wealth inequality. As the lyrics point out, “The writing is on the wall.” This is Mavrick’s protest song; reshaping his career, capturing the zeitgeist of 2017 and dismantling pop’s innocent musical stereotypes.